ST. GEORGE – Utah Foster Care Foundation is celebrating. 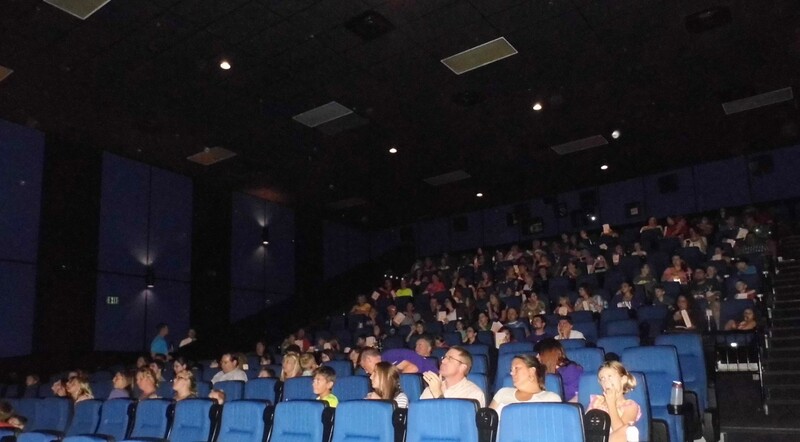 On Thursday, the foundation hosted a free movie night for foster families, their children and neighbors at Pineview Stadium St. George honoring foster parents, or “resource families.” For 15 years the foundation has supported these parents and families in their commitment to children in state care. Fifteen years ago then-Governor Mike Leavitt and then-Lieutenant Governor Olene Walker established an innovative nonprofit association to find creative ways to identify, train, and provide continuing support for foster families throughout Utah. The state Department of Child and Family Services used to take care of everything from training families to placing children. It has taken a lot of pressure off the state by having a private foundation. Utah Foster Care is a private not-for-profit agency that has been contracted by the state. One hundred percent of private donations go to families and the children. No overhead is taken from private donations. Utah contract covers the overhead. The southwest region of the foundation covers Beaver, Garfield, Iron, Kane, Piute, Sanpete, Sevier, Washington and Wayne counties. The regional office is located in St. George. There are approximately 2,600 children in the care of the foundation. Of those, 270 are in the southwest region. As you can see, this is a pretty important initiative just doing foster care and caring for these children who have been either abused or neglected; and they need quality homes that can help them in this very difficult time that they have. Being a foster parent is an enormous commitment. Many times resource families are left trying to navigate a system of complicated child welfare, support for children with learning disabilities, psychological, behavioral, and emotional needs. These families should be seen as significant and a vital piece of the child welfare program in Utah. Education is also much needed for the resource families. They learn about challenges they may encounter during nurturing and reunification processes. It is not easy to care for another family’s child. Most of them, parents and children, just need more support. Compassion is a key factor in becoming a foster parent. Education offered by the Utah Foster Care Foundation provides the tools for resource families and biological parents. Utah Foster Care offers hundreds of classes covering many topics. “It is a privilege for us to share in the learning with dedicated families caring for these vulnerable children,” said Debbie Hofhines, former representative of the foundation’s southwest region and currently with the Salt Lake City division. Children need nurturing, love, discipline and stability. Foster children find these things with resource families while trying to reunite them with birth parents. It is also resource families that encourage birth parents to get the training that is imperative to reunification with children.